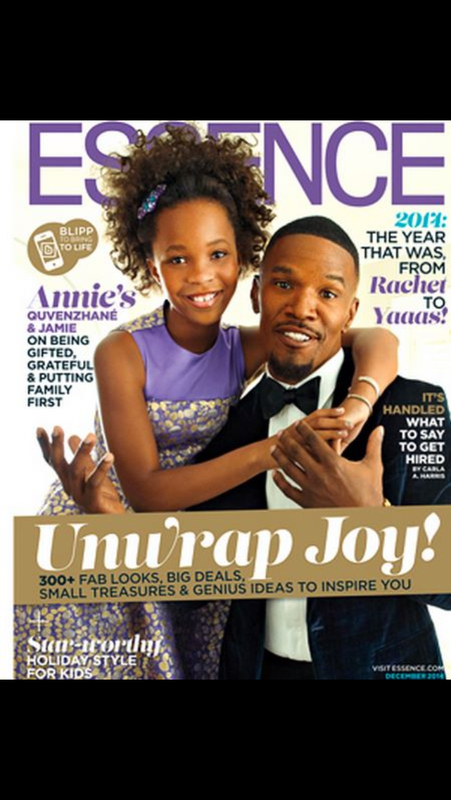 Pick up the latest issue of Essence magazine to see The stars of Annie. Oscar winner Jaime Foxx and Oscar nominee 11 year old Quvenzhane star in the latest remake. The film is produced by Jada and Will Smith.